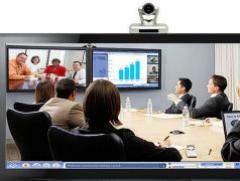 Video and visual technologies are becoming increasingly important for interacting with customers and each other, according to Gartner, Inc. Gartner predicts that by 2017, live video broadcasting will be the new "selfie" and recommends that product managers start creating a "visual" strategy straight away to accommodate this trend. "The next generation of consumer services and products has one main theme in common and that is video," said Brian Blau, research director at Gartner. "This means incorporating live video or other real-time technologies into products to engage users in live events and enable more personalised communications, providing better customer support, and offering best-of-breed video and TV experiences to connected homes." Over the next four years, Gartner expects a noteworthy shift from static photos to video, with live video becoming as important a medium. This will be a significant development as in 2014 alone, more than a trillion photos will be taken, uploaded and shared daily, and the sharp rise in the popularity of online photos shows no signs of slowing. Although live and user-generated video is still less accessible than static photography, it is also growing in popularity. Beyond its potential to be a richer medium for self-expression, live video's use cases surpass what static images and pre-recorded video can accomplish. It can be used for remote monitoring (of a baby, or of the security of a company's premises), remote doctor-patient consultations and remote collaboration (via shared workspaces), and for improved customer service. As live video technology becomes more accessible, it will appear in many contexts, from mobile apps for consumers to customer support services. To benefit, users will need robust bandwidth, devices and cameras, as well as apps and services that capitalise on video's communicative power. By 2018, 76 per cent of connected-home apps will be accessible from smart TVs. Smart TVs are fast becoming mass-market products. Gartner's 2014 consumer survey indicates that almost 25 per cent of US households own a smart TV. In Germany, the figure is 32 per cent. Gartner forecasts that worldwide, 87 per cent of the TVs shipped annually will be smart TVs by 2018. This will result in such devices becoming very common in homes. "Despite the typically slow replacement cycle for TV sets, smart TV penetration is growing steadily," said Fernando Elizalde, principal research analyst at Gartner. "Smart TVs are already central to the provision of connected-home entertainment. These devices can serve as access points for the control and management of other connected home devices. Applications to control and monitor home security cameras, door locks, thermostats and other connected devices are just some of many connected-home applications that could work well through smart TVs." Recent industry developments will bring management and control apps to smart TVs. However, the fragmentation of smart TV platforms makes it difficult for connected-home device manufacturers and app developers to focus on this "fourth screen" for access and management apps — except for media and entertainment devices. Nevertheless, as connected devices slowly gain momentum, and as an app presence on multiple screens becomes first a differentiator and then a must-have feature, smart TV apps for connected devices will reach parity with smartphone and tablet apps. By 2018, connected-home services will cost 50 per cent less than they do now. Price could be a major factor in low adoption rates of connected-home services. Although current pricing plans offered by providers are relatively reasonable, they are additional costs for consumers on already stretched telecommunications budgets. Providers of connected-home services that charge monthly service fees may struggle to compete with those that do not, such as home energy management providers like Hive in the UK and Nest (now owned by Google). Additionally, electronics stores are creating in-store connected-home areas where consumers can get expert advice on creating their own connected-home platforms. In order to offer similar experiences to their customers, service providers would need to invest in both retail space and staff education. "The connected-home market is showing the usual signs of nascency: low penetration, high interest mainly among technology enthusiasts, and high prices," said Jessica Ekholm, research director at Gartner. "For mass-market adoption, prices need to come down, but lowering prices won't suffice on its own. The current lack of interest from most sectors of the public also indicates that people do not see the immediate advantage of connected home services. Embracing a strategy that offers in-store expert advice could therefore be the way forward."